The use of a firearm is an inherently dangerous activity which requires respect and responsibility at all times. There are four primary rules of gun safety (plus some additional rules we’ll cover). The cardinal rules of gun safety are important because they are redundant. These 4 cardinal rules of gun safety overlap with each other, meaning that even if there is a lapse in following one, the other 3 will still maintain safety. ​What are the Four Primary Rules of Firearm Safety? ​Why is Gun Safety Important? Although many shooters are aware of these rules at some level, following them can be more nuanced than many people realize. Let’s break down these rules a little more and look at what they entail. ​It’s a pretty simple premise. All guns are always loaded and should always be treated that way. It can be argued that this rule isn’t true. Of course, we know that objectively, not every gun is always loaded. We can even look at a gun and see that it’s empty. When it comes to gun safety, however, that doesn’t matter. All guns are always loaded because you never know when a lapse in attention might be fatal. No matter how many times you look at a gun and clear it, it is always loaded. You will never treat a gun as an unloaded gun, because “unloaded” guns kill many people when it turns out they aren’t. ​The end of the barrel of a gun is referred to as the “muzzle”. Never let the muzzle cover any one thing - person, animal, object, or other - which you would not be willing to destroy. Of course, we probably don’t want to destroy anything. We don’t want to destroy the table or the wall or any other objects either, but the firearm must be pointed at something. We never let the muzzle of the firearm be pointed at anything which we’re not OK with destroying. This includes other people (except in self-defense, obviously), animals, or other hazards. On shooting ranges, this is often enforced with a “180 Degree Rule” that states that all firearms must point no more than 180 degrees from a target straight ahead. As we talked about earlier, it’s redundancy that makes these safety rules work. Even if all of the other safety rules fail and a gun somehow discharges, it can’t hurt anybody if the path of the bullet doesn’t have it hitting anything you don’t want to destroy. ​It seems obvious, but it’s one of the most commonly-broken rules of gun safety. The trigger is designed to discharge the firearm. Don’t touch it until you’re ready to fire. This rule is commonly broken on TV and movies, which many people replicate. It also doesn’t help that most guns are designed to be as ergonomic as possible with a finger on the trigger, so the hand naturally wants to position itself that way, without considering the proper way to ​hold a gun. The whole rule, more appropriately, reads as “keep your finger off the trigger until your sights are on target and you’re ready to fire.” It’s a mouthful, but every part of the sentence is important. This violation happens frequently at the range because the rules are poorly understood. Watch, and you’ll see shooters bring their guns up with fingers already on the trigger, before a sight picture is even attempted. This is a poor habit and should be caught and corrected immediately. A large majority of unintentional firearm discharges are caused by improper trigger handling, which makes this rule especially important. However, it should be noted that mechanical malfunctions such as excess debris and rust build up can still cause a firearm to discharge. This reinforces the need to follow all 4 golden rules of gun safety. 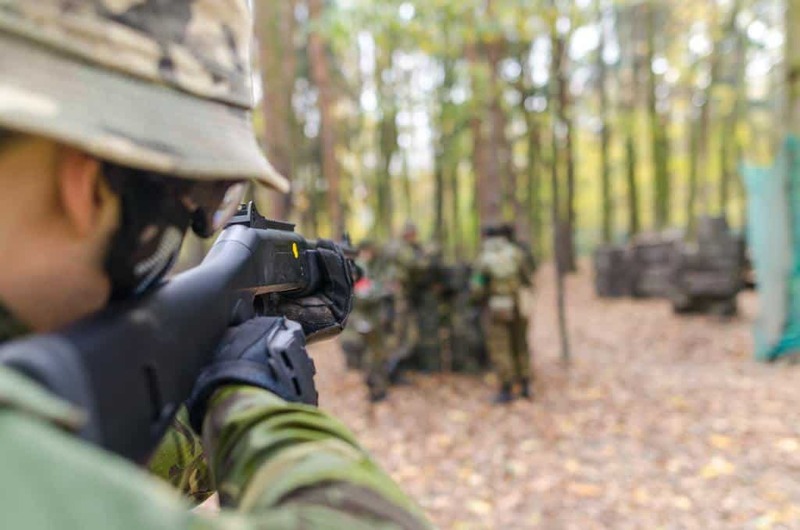 ​Before you can make the decision to fire, you need to make sure you’ve positively identified your target and the area beyond it, and you are firing in a safe direction. Bullets can not only pass through obstacles, they can continue for a mile or more with enough power to cause lethal damage. This rule is equally important whether at the range, hunting, or in a self-defense situation. You should always know with certainty what target you’re shooting at. Failure to follow this rule has cost the lives of children returning home unannounced. This rule includes having safe backdrops for your bullet to stop, or gun locks to avoid accidents. 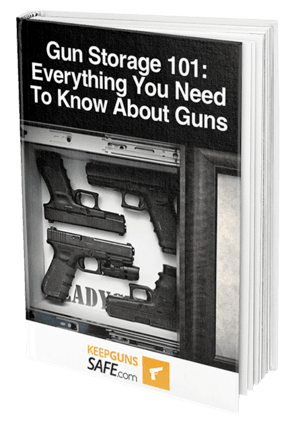 We found the perfect storage for all your firearms. Read our review below. ​Whether used for sport, hunting, or self-defense, even the weakest of firearms has lethal capability. Nobody wants to see somebody hurt (or worse, killed) due to a negligent act that could have been prevented with proper training. There is a bright side, though. Accidental gun deaths are declining, and it’s largely credited to gun safety. That means gun safety training is working. There is no reason to get slack on it now! Proper gun safety training means reducing not only self-inflicted casualties, but also innocent others who may be injured by unsafe gun handling. ​While the 4 laws of gun safety are considered the cardinal rules of gun safety, they can’t cover every possible situation. While it’s impossible to cover everything that could go wrong, consider these additional tips. ​It should be obvious, but unfortunately some shooters think they are above the rules or that just a little won’t hurt them. Nothing intoxicating should be mixed with gun use. This includes alcohol or illegal drugs. It can also be anything else that puts you in a state of impaired judgment or capability. If you have been prescribed prescription drugs that are known to affect a person’s ability to operate, talk to your doctor and wait until you know how they affect you before using guns while on them. ​When not in use, it would be best to store away your weapons and firearms in safe place. 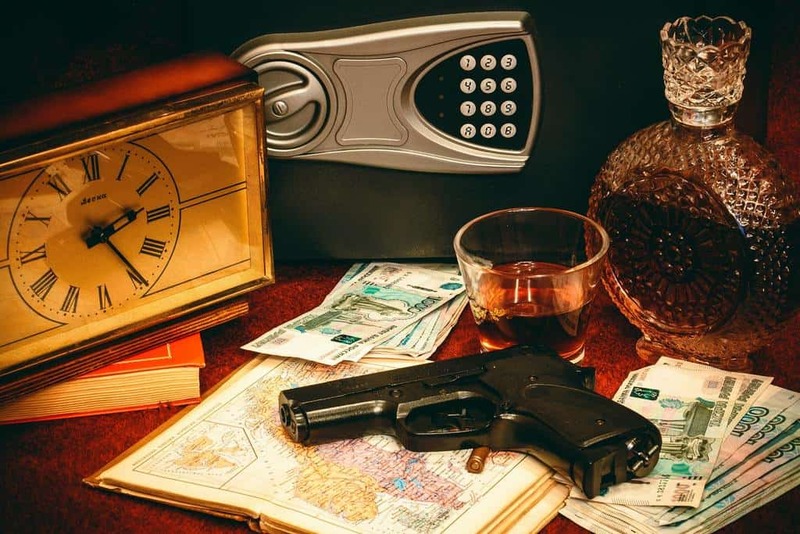 ​A safe is a good example of this, and it won't cause you trouble finding one as there are plenty of great gun storage safes on the market. ​Gun technology has come a long way in 100 years, especially with our enhanced knowledge of engineering and metallurgy, a good example of an enhanced firearm is the biometric enabled smart gun. Guns from the early 20th century may operate exactly like modern guns and even chamber modern ammo, but that does not mean it’s safe. One example of this is an old double barreled shotgun with twist steel barrels. These barrels, made from multiple types of steel forge welded together, may not handle the pressures of modern shotgun loads despite being able to chamber them just fine. This can also include guns which were chambered for a cartridge which originally used low-pressure black powder, but is now commercially available in the much more powerful smokeless powder. Some guns were even made with what we now know to be faulty construction methods. These are considered generally unsafe to shoot under any circumstance. If you don’t know how to tell if an old gun is safe to shoot, take it to a competent and experienced gunsmith. They can help guide you in the right direction. ​Always know the exact cartridge your gun is chambered for and only use exactly what is marked on it. Caliber names can be highly misleading. For instance, did you know that .38 S&W, .38 Special, .38 ACP, and .380 ACP are all different cartridges that can cause catastrophic failures if switched up? How about 9mm Luger, 9mm Browning, 9mm Makarov, and 9mm Largo? Additionally, some very different calibers are especially unsafe to mix up. A .300 Blackout AR-15 cartridge will load into a .223 caliber chamber, but the bullet is too large to travel down the barrel and this will result in an explosion of the gun. A similar failure can happen with 20 gauge ammo, which can be mistakenly loaded in a 12 gauge shotgun. 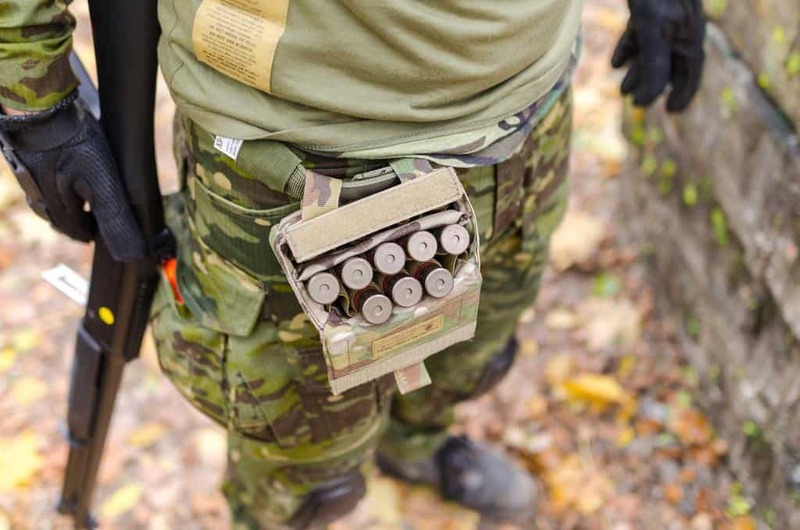 Enough space is left that a 12 gauge shell can be loaded behind it, causing a terrible malfunction as both explode when the trigger is pulled. Be sure you are purchasing the right ammo at all times. It's even better if you can practice reloading yourself​, so you can get to know your gun better. A sales associate at a specialty gun shop can help you choose the right ammo. If you have specific questions about your gun or just need a little help, consult a professional such as a licensed firearms instructor or gunsmith. ​All reputable firearm companies will announce recalls or voluntary upgrade programs when they have identified a safety issue with their products. If you have one of these firearms, send it in immediately to be fixed or replaced. Do not continue using it even if function seems fine. It only takes one failure to be fatal. Beyond this, don’t continue using a gun that misbehaves. If a gun fires with the safety on (or when taking the safety off without touching the trigger), fires multiple rounds with one trigger pull, or otherwise does anything out of the ordinary, take it immediately to a gunsmith. Even if nothing is wrong, the inspection fee is worth the peace of mind. ​The highest love a person can give to their tradition is to continue it in safety and respect. For those of us that love firearms and shooting sports, we must love what we do and help others be involved in a safe and respectful manner. In doing so, we must also hold ourselves to the highest standards of safety. By observing strict gun safety standards, we can help prevent unnecessary injuries and continue enjoying marksmanship skills in safety. 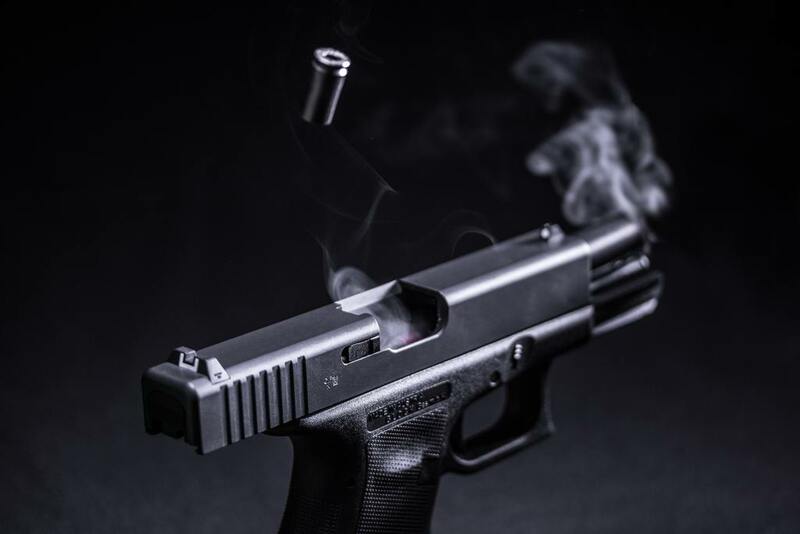 How Often Should Your Firearm Be Cleaned?